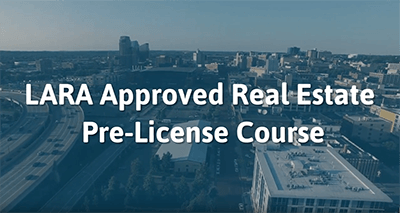 Get started on the path to your new career by choosing one of our LARA approved real estate pre-licensing courses with the confidence of knowing that you will get the education you need At Your Pace Online. We also offer an installment payment option with no credit check available upon checkout. If you have any questions our world class customer service team is here to help, don't hesitate to call us at 1-877-724-6150. We are a Michigan LARA approved pre-license education provider (Approved Provider ID 490). Enroll in our approved 40 clock hour real estate salesperson course. 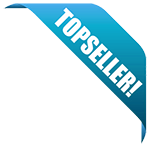 Complete and submit your real estate salesperson license application. Schedule and pass the PSI Examination. Have 3 years of experience in the Real Estate Industry. Enroll in and complete an approved 90 clock hour real estate broker course. Complete and submit your real estate broker license application. This course includes videos, animated slides and interactive quizzes, final exam and certificate of completion. Our courses are set up so that you cannot fail! You can keep working on the course as long as you need to learn the fundamental concepts of real estate. Enroll now to start your 40 hour pre-license course today! Our courses are set up so that you cannot fail! You can keep working on the course as long as you need to learn the fundamental concepts of real estate. Enroll today (payment plans available) and start your 90 hour pre-license course right away! The Department has approved your renewal application allowing continued instruction of the statutory real estate pre-licensure courses. Thank you for your continued interest in providing pre-licensure education in Michigan. You can contact us at (517) 241-9288 if you need further assistance.